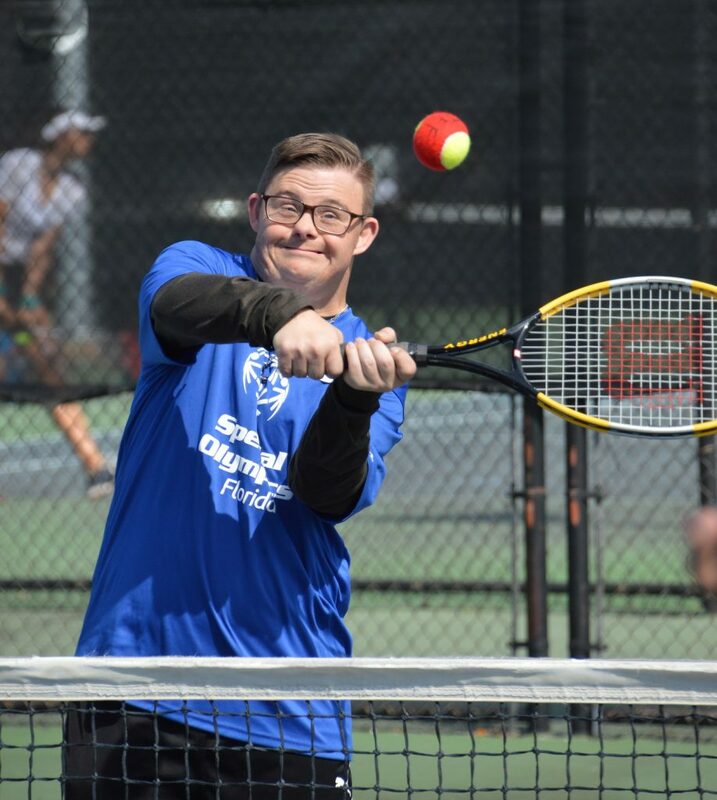 Tennis For Fun – Free Tennis Clinics for Athletes with Special Needs. 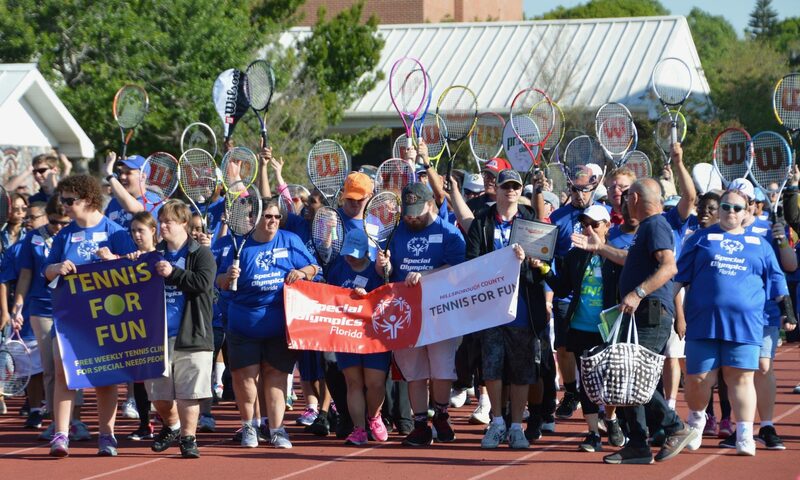 Tennis For Fun, a free tennis clinic for athletes with special needs, is a volunteer organization that provides athletes with an opportunity to have fun playing tennis, to learn basic skills and to socialize with each other. Our program specializes with athletes of all ages that are intellectually handicapped, especially those with Down Syndrome, but other special needs athletes who qualify for Special Olympics are also welcome to join the program. Tennis For Fun is entirely a volunteer organization. All services and equipment are donated by our wonderful and dedicated volunteers. Click here to find out how you can get involved. Tennis for Fun was founded by Nathan Moore, a Jesuit High School student, in September of 2000. His goal was to create a positive and fun activity for special needs athletes in the greater Tampa area. Since its inception, the program has grown substantially, spreading to nine locations and coaching over two hundred athletes. When Nathan left for Springhill College, the program was continued by his mother, Judy, along with Rosanna Chiaramonte, both of whom have played an enormous role in making the program what it is today. 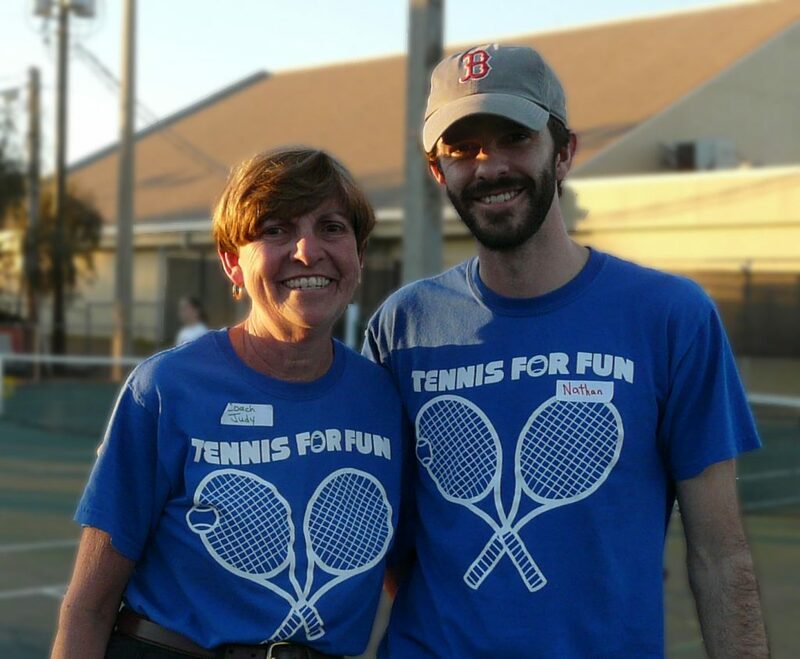 Nathan has moved back to the area and continues to be involved with the “Tennis For Fun” programs.